This is a game-changer. It’s the price/capability breakthrough that owners and pilots of single-engine piston aircraft have been waiting for: G3X Touch flight displays are now approved and available for installation on hundreds of FAR Part 23 Class I certificated aircraft (typically, those weighing less than 6,000 lbs). With supplemental type certification (STC) provided under an extensive approved model list (AML), these 10.6” and 7” LCD displays make it easy and affordable to upgrade from legacy mechanical instrumentation to a modern glass cockpit solution. Offering extensive integration options, the G3X Touch displays are available in a variety of panel configurations to fit your needs and budget. 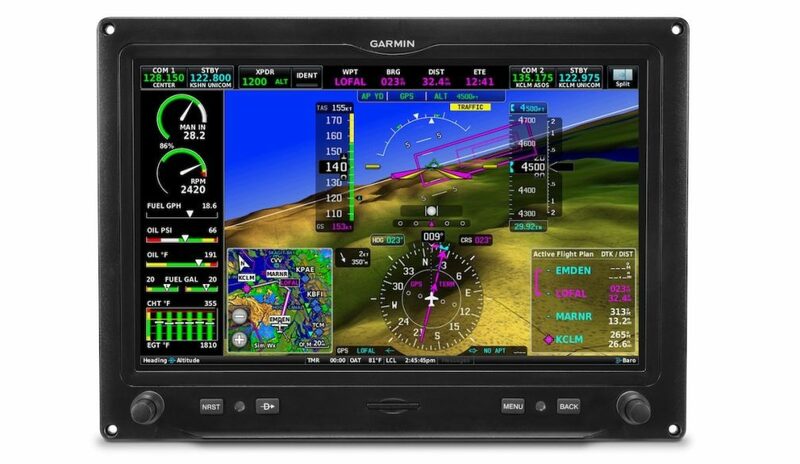 With the capability to combine full primary flight display (PFD) attitude/directional guidance with detailed moving-map multifunction display (MFD), each G3X Touch glass display features a bright, high-resolution screen with an infrared touch-control interface that seamlessly blends with familiar buttons and knobs to put all essential flight information at your fingertips. Standard features include our SVX synthetic vision display with database-generated terrain features and built-in wireless Connext cockpit connectivity. Better still, the optional EIS provides display of primary engine instrumentation. Multiple screen sizes and display formats let you grow your G3X Touch suite as your needs evolve. For space-limited panels, a single 10.6” or 7” display can accommodate both PFD and MFD windows within the same unit. The 10.6” display can also include an EIS strip for additional versatility. Another option allows two 7” screens to be installed side by side and accommodate PFD, MFD and optional EIS functionality. Or you can pair a 10.6” split-screen unit with a 7” format to provide even more flexibility to lay out your preferred arrangement of PFD, MFD and optional EIS displays. And to help simplify installation, the primary display also offers the capability to have an air data computer and attitude/heading reference system module integrated on the back of the display unit. 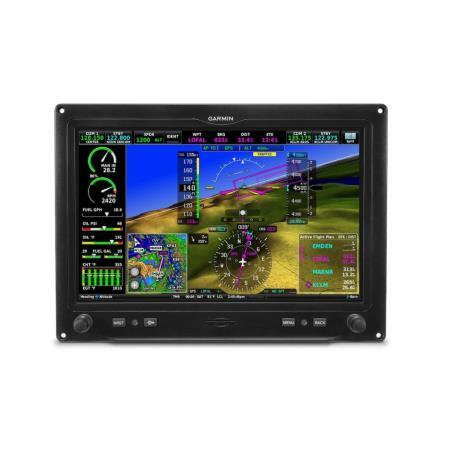 Valid for use in VFR- and IFR-capable installations, the certified G3X Touch displays are designed to interface with select autopilots, including our GFC 500 digital autopilot³. Fully coupled LPV/LNAV/ILS approach capability — including missed approach procedures — can be accessed when the G3X Touch displays are paired with the GFC 500 autopilot and a compatible navigation source, such as the GTN™ 750or GTN 650 series. G3X Touch can also display ADS-B“In” weather and traffic information when connected with the new GNX 375, GTX™ 345 transponder or the GDL® 50R or GDL 52R receiver. This includes our exclusive TargetTrend™ and TerminalTraffic™technology, giving you a faster, more intuitive way to monitor ADS-B traffic targets. With GDL 51R or GDL 52R, you can also receive and display SiriusXM®aviation weather as well as listen to audio entertainment¹. Making things easier and better for pilots in the cockpit is what G3X Touch is all about. 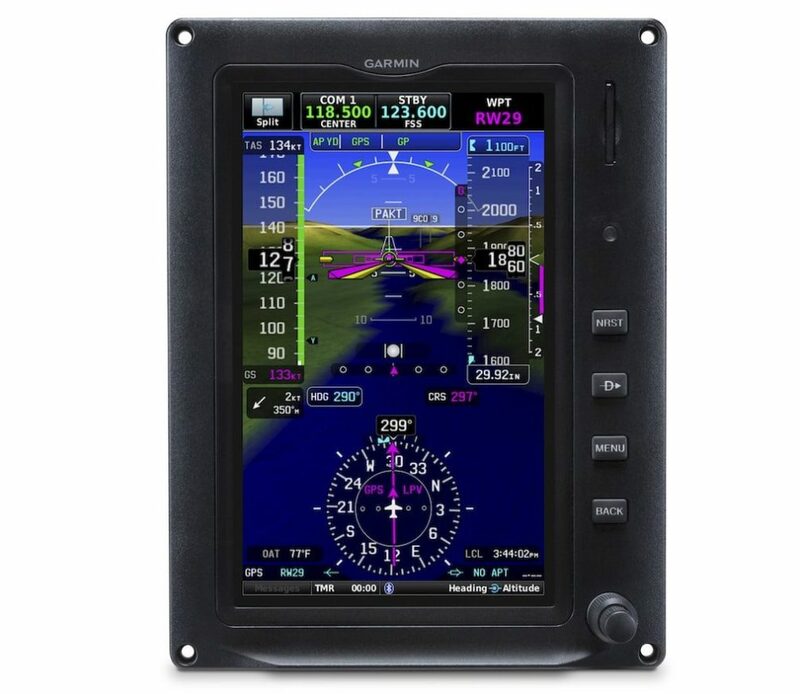 That is why G3X Touch displays integrate the controls for many popular Garmin avionics. Large onscreen touchpoints and familiar graphic icons help simplify all your data entry and menu selections — allowing you to easily see and control Comm frequency selection as well as transponder settings and code entry. Growth-oriented avionics choices you can use to provide these functions include our GTR 225Comm transceiver, GNC® 255 Nav/Comm, GTN series GPS/Nav/Comm, GNX 375 and GTX 345 or GTX 335 series ADS-B enabled transponders. G3X Touch flight displays also incorporate dynamic moving map capability, enabling you to view terrain features, airports, airspace boundaries, navaids, flight plan routings and more — with an aircraft reference symbol overlaid on your current position. To suit your preference, G3X Touch also has the ability to display VFR sectionals and IFR en route charts². Our FliteCharts® database or optional ChartView™charts from Jeppesen® also offer you georeferenced approach plates and procedures². Plus, when your aircraft touches down, our built-in SafeTaxi® diagrams help you navigate the airport environment safely, with your aircraft’s position overlaid onto taxiways, runways, ramps and other accessible locations². For even more capability, G3X Touch flight displays feature built-in wireless Connext cockpit connectivity that lets you stream information between your avionics and select Garmin portables or mobile device apps such as Garmin Pilot™, FltPlan Go and ForeFlight. This wireless feature makes it easy to use your tablet or smartphone to create flight plans ahead of time in the comfort of your home or office, then quickly upload the data to your avionics while you’re preflighting at the airport. You can also use the Connext link to stream GPS position and backup attitude information. In configurations where multiple displays are installed, the G3X Touch system offers extra peace of mind. In the unlikely event of a display shutdown or failure, a reversionary mode enables your remaining operational touchscreen to consolidate and present all essential flight information, including EIS data when installed. The displays have GPS receivers built in as well, providing extra redundancy. 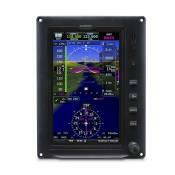 (Note: The GPS receiver built into the display is certified for VFR navigation only.) When installed with an optional G5 electronic flight instrument3 as backup instrumentation, G3X Touch will automatically sync baro and bug settings as well as provide miscompare alerts. Additionally, the GFC 500 autopilot3 can even remain operational using only the G5, in the unlikely event of a display failure. STC’d retrofit installation of a G3X Touch system in your aircraft is simple and straightforward. And no matter which upgrade package you choose, you’ll have the peace of mind that comes with our industry-leading Garmin warranty, backed by our No. 1-ranked product support team. See your authorized Garmin installation center for more details on what’s available in G3X Touch solutions for your aircraft.